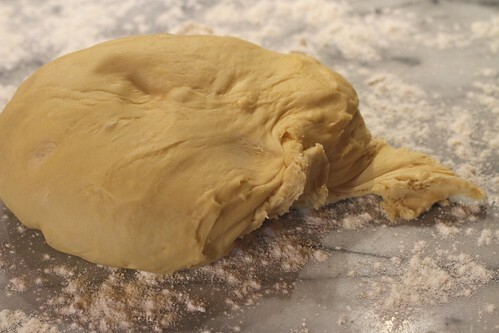 Make the Dough: Heat the milk to 110 degrees. 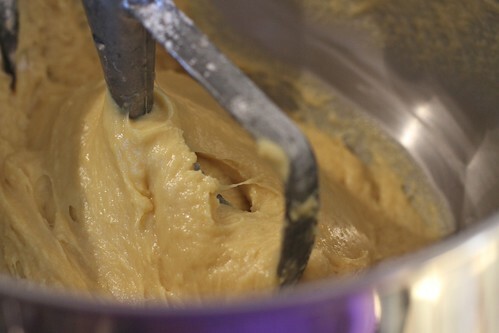 Put it in the bowl of your handy-dandy stand mixer and whisk in the yeast, followed by 8 tbsp. of the butter, the eggs, sugar, vanilla and salt. 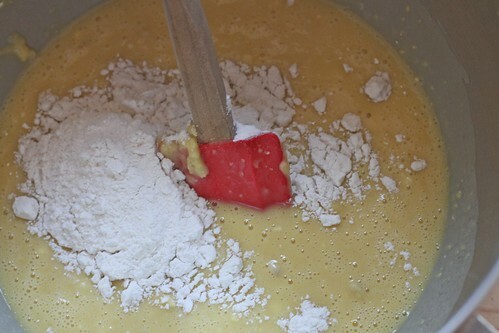 Stir in 2 cups of the flour with a wooden spoon, then put the bowl into the mixer fitted with a paddle attachment. Working on low speed, mix in the remaining 2 cups of flour 1/2 a cup at a time. When all the flour is incorporated, mix on low for 2 minutes. 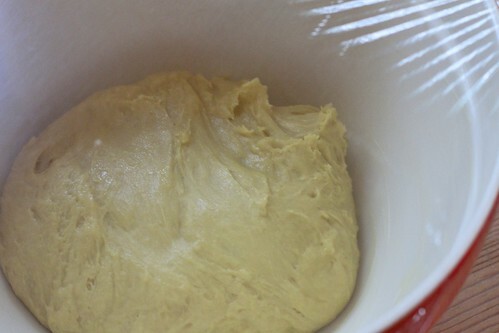 Let the dough rest for 10 minutes, then mix for another 2. 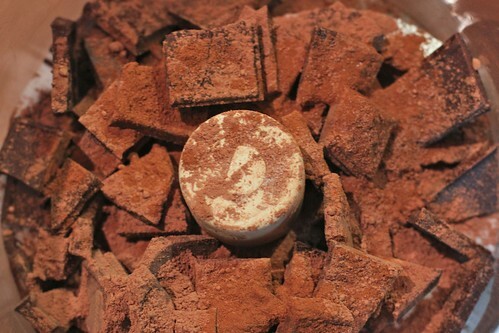 Use one of the remaining tablespoons of butter to coat the inside of a bowl. Scrape the dough (it will be sticky) into the buttered bowl. Toss it over to get it covered in butter, then cover with plastic wrap and chill for 1 1/2 hours. 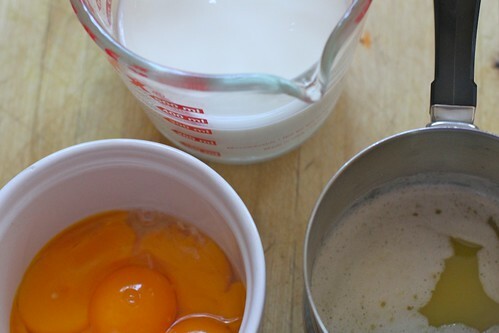 Make the filling: Put all the ingredients into the FoPro and whiz until finely chopped. 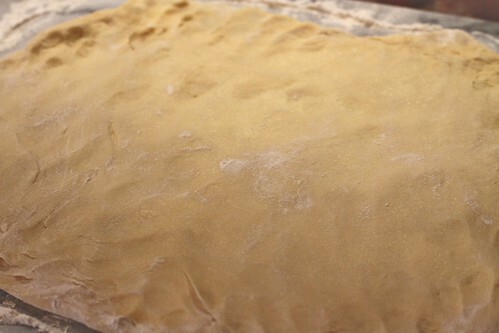 Form the dough: Plop the risen dough onto a floured board. Press it out into a rectangle that’s approximately 12×16 inches. 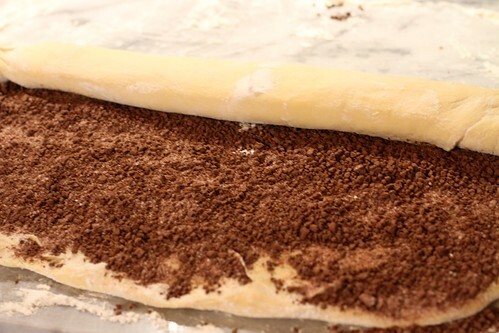 Scatter the filling evenly over the dough, the roll the dough up into a log. Cut the log in half. 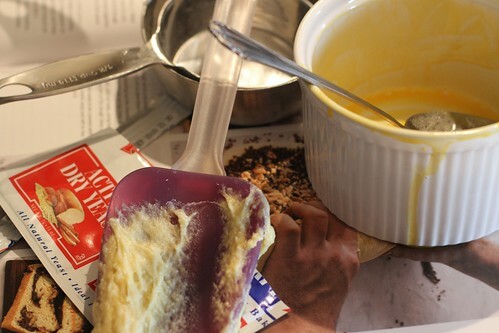 Prep the loaf pans: Use the remaining tablespoon of butter to grease 2 loaf pans. Line the bottoms with parchment, and grease that. 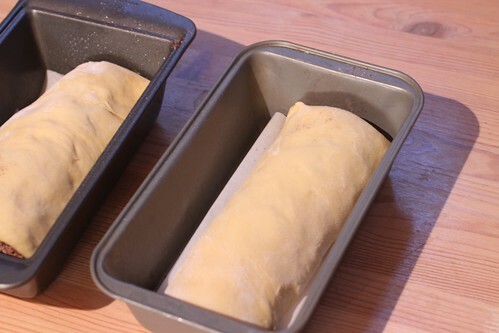 Put the dough into the loaf pans, cover with a kitchen towel and let rise another 1 1/2 hours. Preheat the oven to 350. 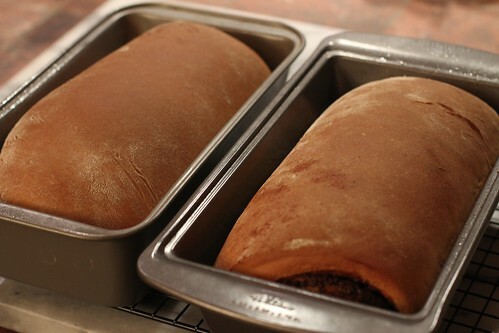 Bake the loaves for 45-50 minutes. Let cool in the pans for a few minutes, then de-pan and let cool on a cooling rack. 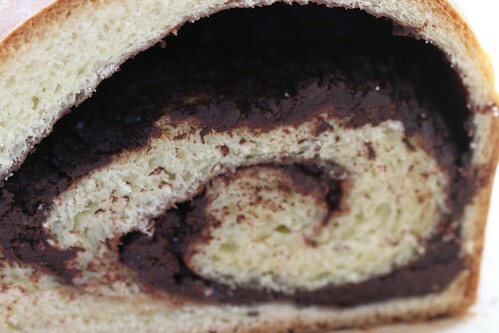 I would love a slice of this goodness right now!!!! Oh my god, that looks so good! 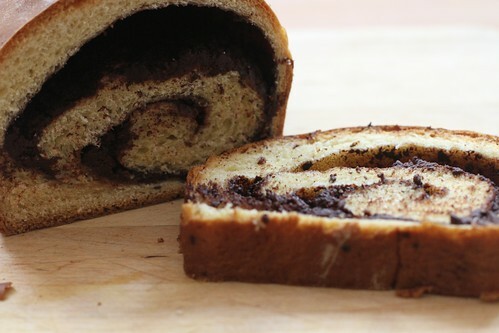 I have bread issues (my bread always seems to have a weird texture, unless I add an untoward amount of gluten to it) but I might have to try making this… Even if it ends up weird, at least it will be chocolate bread! When you say “2 packets yeast”, what would that be in an actual unit of measurement? As in grams? Or ounces, or teaspoons or something. 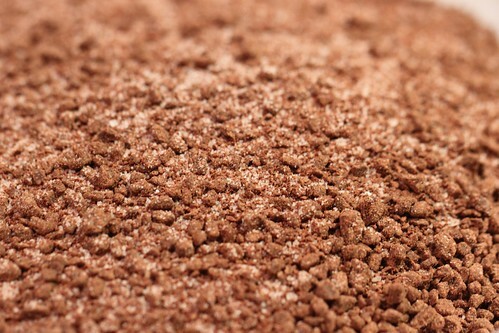 This would make excellent bread pudding or french toast. 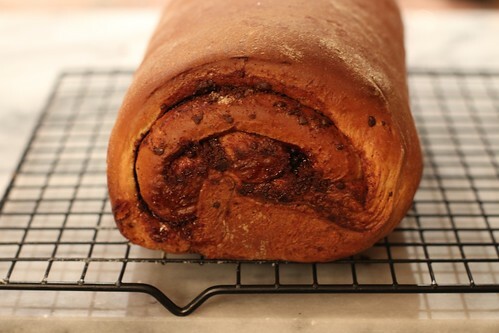 This is not the lesser babka by any means. I’m afraid if I took a number, it would be sold out before I could have it. emma, that would be 5 teaspoons.